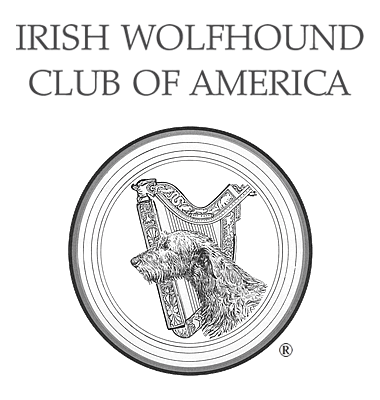 About Irish Wolfhounds - Irish Wolfhound Club of America, Inc. The Large Gazehound Racing Association's (LGRA) Top Irish Wolfhounds for 2018. At their August 2018 meeting, the AKC Board of Directors voted to permanently retire nineteen historic Irish Wolfhound kennel names significant to the history and foundations of the breed. The Irish Wolfhound is a large, rough-coated, shaggy-browed hound, built on galloping lines. Even as he lies by a modern hearth or romps about an enclosed lawn, gallops in a meadow or along a beach, it is easy to imagine him as the prominent figure he once was in the feudal life of the Middle Ages. Because of his great size and the amount of exercise essential to his well-being, the Irish Wolfhound is not a dog to be acquired without serious forethought. His ideal home is one which provides fenced property of sufficient size to accommodate the galloping natural to this athletic sight hound. Hunting by sight and chase is what he was bred and historically used for; the length of leg and back, the deep chest, the power of his limbs and body attest to the heritage and needs of the Irish Wolfhound. His ideal owner is one who has the capacity to respond to the gentle nature which dwells within his great frame; who discerns the intelligence which manifests itself in his response to everyday situations as they occur. The Irish Wolfhound does best when human companionship is the core of his daily life. At maturity, despite his space-eating size, he is a calm presence within a family circle, dignified and responsive, providing no harshness of attitude or deed is directed his way. A sensitive dog, the Irish Wolfhound's development is thwarted when his environment is ungiving. His nature and temperament make him totally unsuitable as guard dog, watch dog, or patrol dog, in country, town, or city. Though alert he is not suspicious; though courageous he is not aggressive. Irish Wolfhounds have only the kindest intentions toward children. Common sense, however, precludes the mingling of a small child with a young Wolfhound; the child is no match for an affectionate, playful puppy weighing 50 to 100 pounds, a toss of whose head or a running sideswipe of whose body can have bruising consequences. A completely natural breed, the Wolfhound's ears are uncropped, his tail undocked. Clippers and trimmers are enemies to his coat; no part of him, particularly his head, should appear styled. Irish Wolfhounds compete in dog shows from coast to coast, though he is seen in greater number at those held outdoors, which better suit him. No stranger to obedience competition and coursing trials, he has won degrees and titles in both. The habitat of most Irish Wolfhounds bred in this century has been the private home where his quiet manners, gentle nature, and comfortable sense of companionship have made it a natural one. Although the chase is not his preoccupation, we must never forget it is his natural sport and the sight of him in characteristic gallop, swiftly covering the ground beneath him, is exhilarating and leaves no doubt of his need to exercise his birthright. This page was last updated 01/16/2019.